Are your old single pane metal framed or wood framed windows hard to operate and costing you a lot of money in excessive heating and cooling bills? If so the time is right to upgrade to a vinyl replacement window. 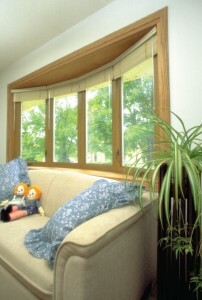 The options and types of windows are varied. Here’s the answers to 5 frequently asked questions to guide you through the window selection process. Question 1 – What is the cheapest type of replacement window?– Double hung windows (which have two sashes that open up and down) and slider windows (which open from side to side) are most common, manufactured in the highest quantities and very cost effective (even in custom replacement window sizes). 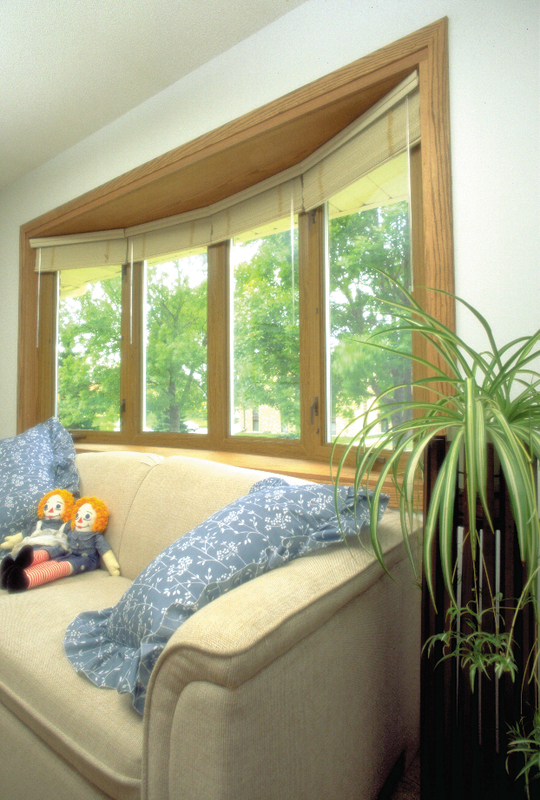 Vinyl replacement windows are far less expensive than wood framed replacement windows. 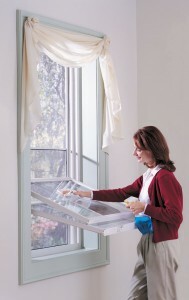 Question 2 – What vinyl window type provides operability and privacy for my kitchen window and shower window? – An awning type (which opens from the bottom out) maintains the privacy of the person behind the window while allowing ventilation to flow (most awning windows are square or horizontal in shapes). Another option to create privacy is to use obscure glass, or an acrylic block window or glass block window. Question 3 – I’m looking for a window that will be easier for my elderly mom who has mobility challenges to operate. What do you recommend? – Casement windows (which have easy to open cranks at the bottom of the frame) are a great choice for their ease of operation and universal design (note – a universal design is one that is easy for people of all abilities to use). Question 4 – What window types are available to add a unique architectural style and seating as well? 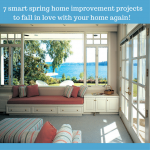 – If you’ve got a family room, living room, bedroom, kitchen or den where you want a window to be a focal point and add seating to sit and relax in consider a bay window or bow window. These windows protrude out from the home to create seating inside. They are available in colors and wood grain patterns to compliment your interior design. Question 5 – I’ve got a great yard and scenery outside my home. What window and door types can maximize my view? A fixed (non-operable) picture window or sliding glass patio door can bring the beauty of the outdoors insid (or even consider a garden window). You can add energy efficient coatings to save energy, put in grids to create a distinctive architectural style, or even install blinds to block out sunlight when needed. Do you have any questions about types of replacement windows , styles or have advice for others on what windows to choose for their project? If so – please comment below. To learn more about vinyl replacement window types or to get an estimate contact Cleveland Window Company (216-531-4118) or Clear Choice Window & Door in Columbus (614-545-6886) or in Cincinnati (513-744-2184) – divisions of Innovate Building Solutions.